NOODP may seem alien to most of you, unless you’re one of the few who’ve worked on SEO during the good old days of digital marketing, where everything had to be done manually, NOODP & NOYDIR, along with a handful of other tags were essential to control how your web pages are indexed and served for search engine crawlers. Search engines don’t always use the meta descriptions you’ve prescribed under your meta tags, they sometimes (almost always) display descriptions from your text body, which is almost never appealing to readers. This is where tags such as NOODP & NOYDIR come in handy. 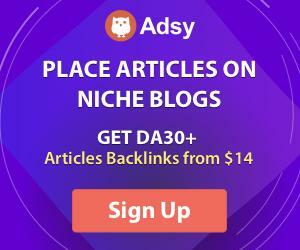 In this post, we discuss about NOODP, NOYDIR and other tags and their usage and benefits in detail so help you optimize your pages for search engines better. NOODP – What Is It & Why Its Important? NOODP is a tiny, convenient tag which prevents Google from importing the directory listing as the description for organic search results. NOODP means No Open Directory Project and it is a directive which tells the search engine crawlers not to use metadata from the Open Directory Project for titles or snippets displayed in search results for the particular page. If somebody types a keyword into the search, Google can use the descriptions from the open directory project as meta description and page title for the organic search listing. The NOODP tag allows opting out of the open directory project title and description override. The open directory project is DMOZ. The benefit of using NOODP tag is that you can avoid search engines from choosing random description. This affects the SEO of your webpage. You can inform Google, through this tag, what is relevant for the page. If you have a DMOZ listing, it is possible that the site drops in ranking for particular keywords present in your page title and meta descriptions. Though it doesn’t make a huge difference, you might lose a couple of hundred visits. DMOZ listings can often use inaccurate, outdated or irrelevant content and it is beneficial to be able to control the serving and indexing of your website content by crawlers. While NOODP is a directive supported by Google, NOYDIR is another tag introduced by Yahoo! It functions much like NOODP and works by excluding titles and abstracts from the Yahoo! Directory. This meta tag is designed particularly to prevent search engines from displaying the Yahoo directory page title and meta description. Meta Robots tags are used to ensure that the right content is displayed in the page description in SERP. You can instruct the search engine on how you would want them to crawl or index the parts of your website. INDEX allows adding the page to index so that people can discover it. FOLLOW is used to tell the search engine that it can follow the links on the page, to be able to discover other pages. You can add the meta robot tag on the first index page to tell the search engine crawler whether you want the whole site to be crawled or not. NOODP For SEO – What You Should Know? Using the NOODP directive is beneficial for a website’s SEO. It gives the webmasters the flexibility to get the page content titled and described the way they want and not as the editor prescribes. You are actually adding to the information about your site. You can use the ‘description’ as the name attribute to put the description of your website in the attribute’s parameter. Search engines use keywords to rank pages and you can use ‘keywords’ as name attribute and place keywords in the content attribute using the NOODP directive. The goal is to ensure that the right content appears in the description of your page in the search result. Once you add these meta tags to the page, it can take some time to reflect the changes in the snippets.